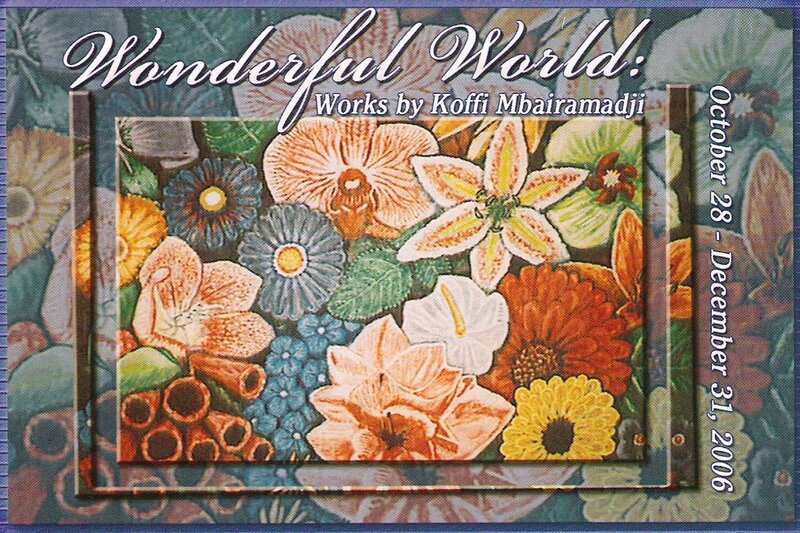 Please visit the show Wonderful World: Works by Koffi Mbairamadji. Koffi's work tells a refreshingly vibrant story of living and forms. Dancing among flowers, animals, instruments, and spiritual images in his journey...and a journey of familiar recognition for those who are drawn into his works. Born in Chad, Koffi started painting years ago as a hobby. Today it is part of his daily life. The show is at Obsidian Arts. Obsidian Arts is a Minnesota non-profit arts space focused on celebration and development of black artists, arts institutions and artwork. There will be an artist talk Saturday, December 9th at 4-5:30pm. Come support our friend Koffi!